As the economy falters, Government cuts bite, libraries close and the shutters go up on yet more failing retailers, I feel an increasingly desperate urge to identify something that may cheer us up in 2013. Last year at least we had the Diamond Jubilee and the Olympics. Already the hysterical media overreaction to David Bowie’s new single has underlined how desperate we are for the smallest shred of non-bad news. Searching the Internet for more of the same, I was reminded that this is to be the great year when we are at last blessed with a uniform system of traffic light labelling for foodstuffs. Hurrah! Well, I say “uniform”, but in fact the system will only definitely apply to the own label products of supermarkets that have been bullied into voluntary compliance by the Government, with the aid of assorted no doubt well-intentioned pressure groups. Because food labelling is one of the many areas on which our own Government has surrendered its competence to the EU, it cannot actually impose a system that would cover branded food manufacturers as well as retailers. This raises the possibility that consumers may baulk at all the glowing red lights on a Tesco chocolate bar, and pick a warning-free Cadbury’s one instead. This will only happen, of course, if we assume that shoppers are terminally thick. But then that does seem to be the principle on which the whole labelling system, like most Government advice, is predicated. 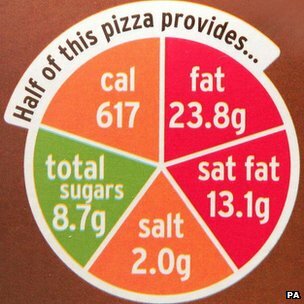 How many of us really need little coloured spots to tell us that an apple will do us more good than a packet of lard, or that a green salad is likely to prove healthier than a stuffed crust pepperoni pizza with extra mozzarella? Can it really be sensible to plaster red warnings across natural products that have been part of the human diet for centuries, like red meat, cheese, cream and sugar, while green lighting artificially contrived and industrially produced “lite” alternatives? I write this as an overweight man who has been enjoined by his doctor to eschew such small pleasures as cakes, and to eat bread with only “a scrape” of some ghastly yellow cholesterol-reducing spread. I ignore this advice as I prepare my toast nearly every morning for the simple reason that butter is absolutely delicious, while the alternative has all the taste appeal of a dollop of lubricating oil. 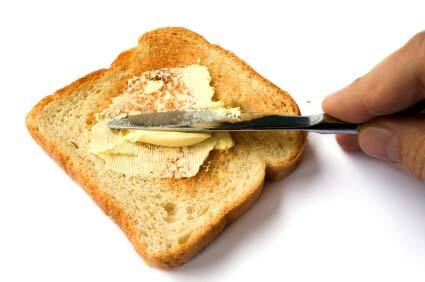 The whole food industry has been working for years to meet assorted targets for the reduction of fat, salt and sugar. Where they have failed, it is almost invariably because the reformulated product doesn’t taste anything like as good as the original. Admittedly time may help to resolve this. I have not added sugar to hot drinks or salt to pretty much anything for years, and consequently find many prepared foods far too sweet or salty for my taste. I do appreciate the value of having all the facts about any product’s contents at my fingertips, particularly its calorie count. It came as a revelation when I finally grasped that the lunchtime sandwich I sometimes grabbed as a “light” alternative usually contained many more calories than a proper meal. Four years ago I achieved a significant and undoubtedly beneficial weight loss that I would never have accomplished without this information. Now, like most dieters, I need to go through the whole rigmarole again. Not because I am inadequately informed, but because I am a greedy so-and-so who cannot consume treats in moderation. I don’t need telling what is bad for me. I need something to discourage me from eating too much of it. Putting a series of red traffic lights on the front of the pack is not going to be of the slightest assistance. 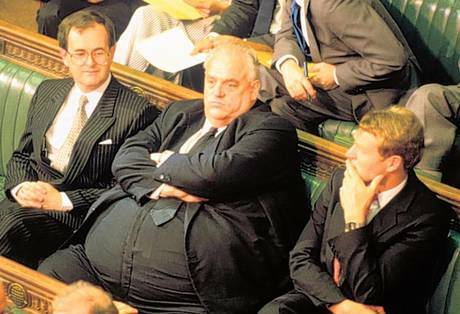 What might help would be to take a leaf from the anti-smoking campaigners’ book and plaster packs with images of the awful consequences of over-indulgence. Food’s equivalent of a horrific tumour could be an image of the late Sir Cyril Smith. In miniature, smiling and giving an encouraging thumbs-up on a salad; vastly enlarged and menacing on a meat pie. Yes, that thought has made me revisit my plans for lunch already. Lettuce, anyone?